The UFO Phenomenon in Mexico has been recognized as a fact in an historic and unprecedent decision taken by the mexican Department of Defense under his Secretary of Defense General Clemente Vega Garcia, commander of all armed forces in this country. The insolit meassure that will change history here in Mexico was the result of a high level incident in wich a mexican Air Force airplane, military pilots and personal were involved in a situation with several UFOs while doing a routinary suveillance antinarcotics operation to detect a drug smuggling flight. The news was released last night, Sunday May 9, 2004 by Jaime Maussan, researcher and tv journalist during the tv show Los Grandes Misterios del Tercer Milenio (Great Misteries of the Third Millenium) broadcast by mexican tv network Multimedios Television in the city of Monterrey, N.L. Jaime Maussan announced that on Tuesday May 11 there will be an international press conference to present the case and the investigation made by the Department fo Defense along with Maussan's research team in an unprecedent colaboration. The press conference will take place at the Hotel Sevilla Palace in Mexico city at 11:00 AM were all the international media representatives have been invited. Previously on Monday's night an advance report will be broadcast on national television newscast. All the facts and materials of the investigation will be presented at the conference including the official footages by the Air Force as well as interviews with the pilots and personal involved in the amazing incident. On April 20, 2004 Jaime Maussan was contacted by a high officer of the Department of Defense to have a private meeting and discuss a subject of a high relevant matter. The next day Maussan met General Clemente Vega Garcia, Secretary of Defense and his major staff and was informed about an incident that took place on March 5, 2004 on the aerial space of Ciudad del Carmen, Campeche where an Air Force Merlín C26A Bimotor airplane was doing a routinary flight to detect a smuggling drug airplane during an antinarcotics operation. The Merlin C26A was equipped with a high tech advanced digital equipment to register and record all the activities during the operation. Powerful sensor detectors like a FLIR STAR ZAPPHIR II and a RADAR AN/PS 143 BRAVO VICTOR 3 were being used by qualified personal aboard the airplane and all the operation was being recorded both in normal and infrared mode. This airplane is programmed only for surveillance and detection procedures, not for interception or combat maneuvres. Their duty is to detect and identify drug dealers filghts and then inmediately report them to the base where combat planes are scrambled to intercept those narcotics smugglers. At aproximately 17:00 PM the Merlin C26A detected an unknown traffic at 10,500 feet over Ciudad del Carmen, Campeche airspace and according to the protocol and suspecting a drug dealer airplane Mayor Magdaleno Jasso made a maneuver to approach the unidentified traffic at certain range to get a close look and record the target with their equipment. At the same time Mayor Jasso reported by radio to the base that a posible suspect was detected requesting the interceptor planes to be in alert condition. 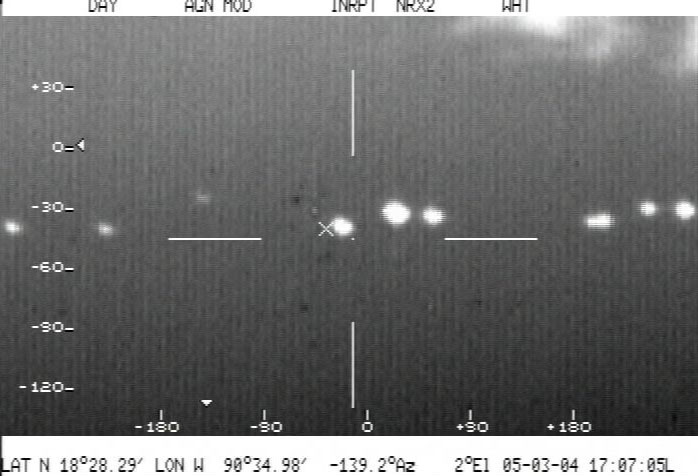 The RADAR AN/PS 143 BRAVO VICTOR 3 was detecting the unknown traffic and the FLIR STAR ZAPPHIR II was recording the object in infrared. As the Merlin C26A tried to approach the unknown traffic to make a visual identification it suddenly in a surprising maneuver escaped flying away at tremendous speed. By this time Mayor Jasso tried to persecute the target but it was very fast. All this was being recorded by the FLAIR and also the radio conversations with the base describing the inexpected maneuver of the unknown. However the C26A still have not made visual contact with the unknown object. Just some moments passed when suddenly the unknown object returned and began following the Merlin C26A in a surprising situation. This was detected by the RADAR and the FLIR while the personal aboard were trying to make visual contact of the unidentified traffic now following them. In seconds the equipment detected now not only one but two traffics following them. The images in both RADAR and the FLIR were clear and unmistakable. But both pilot and personal still could'nt have visual contact with these two traffics following them adding a great suspense to this disconcerting situation. Mayor Magdaleno Jasso reported to the base the insolit incident that was taking place giving detail of all the informations registered by the equipment while keep trying to make visual contact of the unknowns. 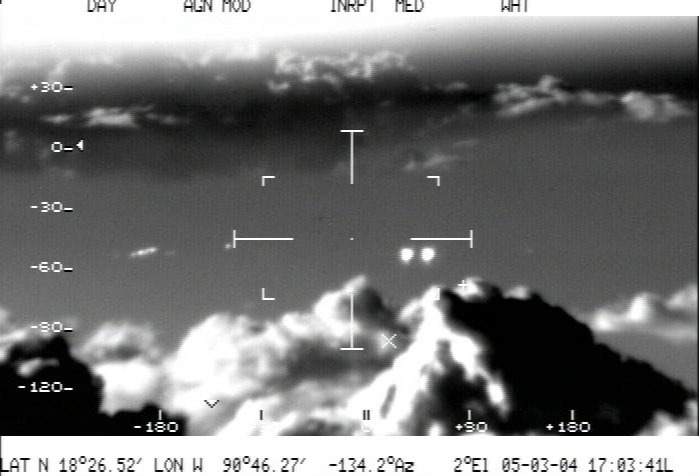 The FLIR kept recording in infrared every movement made by the two unknown objects that seemed to be keeping their distance from the C26A but still following it. The personal aboard the Merlin C26A were confused and disconcerted seeing the images on the FLIR and the RADAR asking themselves what was going on with this insolit situation. But the stressing moment that the C26A crew were passing through was just the beguinning of something more dramatic that will turn their undesirable experience into a real nightmare. 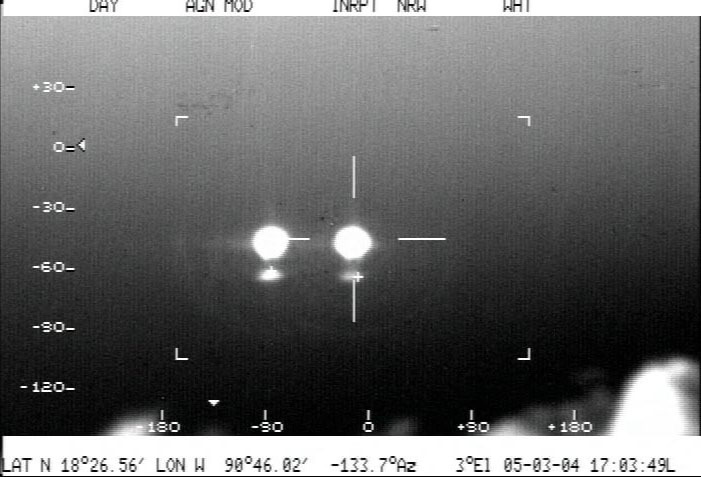 Some minutes passed while the mexican Air Force Merlin C26A crew continued making maneuvers to have a visual contact of the unknowns because despite both RADAR and FLIR were showing perfectly clear both unidentified objects for unexplained reasons there was not a visual contact even that the objects by this time were at close range. It was during this round and round maneuvers to identify these two objects that something amazing happened. In a matter of seconds more unknown objects arrived to the scene and the disconcert of the C26A crew was total. But the most insolit thing was that even that there were eleven unknown objects close to them still the crew could'nt see them, no visual contact with the unknowns was posible for some reason never experienced before by these high trained men. However the high tech sophisticated equipment and sensors were not lying, there were eleven targets outside them with unpredictable intentions. At the middle of a complete confusion and disconcert among the C26A crew the unknown objects suddenly made a maneuver surrounding the mexican Air Force airplane in a circle at close range. 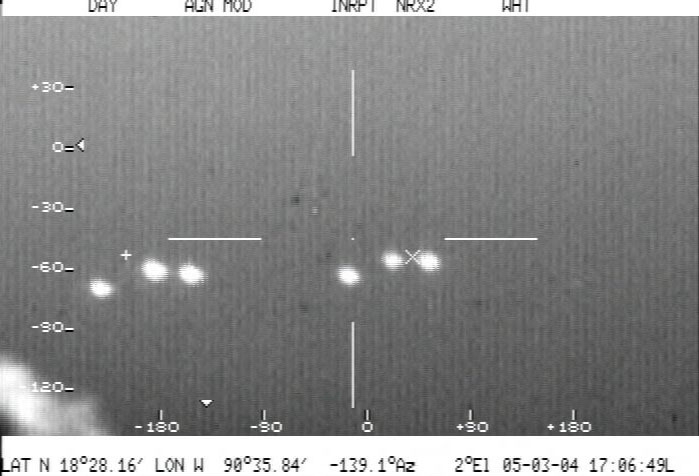 The RADAR and FLIR presented an insolit image of an eleven objects near by in a circle formation around the Merlin C26A. The situation turned out of control. Mayor Magdaleno Jasso reported to the base that the C26A situation was now in red alert, surrounded by eleven mysterious round shaped objects camouflaged with a certain unknown advanced technology that avoid any visual contact of them. However Mayor Jasso kept the calm as well as the crew who were working fast meassuring and recording every detail of this unique incident conscientious of their duty as military and trained men. Confronting this situation surrounded by unidentified objects in an unpredictable ending Mayor Magdaleno Jasso took the decision of turning out all the airplane lights and wait to see what happened. Moments of high suspense lived by the crew while the FLIR was recording the images of those bright objects even that visual contact was not posible, moments of silence and uncertainty. The C26A crew kept calmed doing their duty, documenting every moment of the strange incident while Mayor Jasso continued in contact with the base. After some stressing minutes the eleven objects dissapeared giving an end to the strange experience that these members of the 501 Aerial Squadron just lived. The Merlin C26A returned safe to the Air Force Base and Mayor Magdaleno Jasso prepared a complete report of the incident along with the C26A crew. The Secretary of the Defense took notice of Mayor Jasso's report and began a full investigation studying and evaluating every element of the case. Statements of the crew, images, lectures, meassurements of all the equipment as well as a complete evaluation of the meteorological data . The incident was taken very seriously by the Department of Defense Staff and after several weeks of investigation they decided under the command of General Clemente Vega Garcia to contact researcher and tv journalist Jaime Maussan for a special colaboration in this investigation as an experienced researcher in these matters. On April 22, 2004 General Clemente Vega, Secretary of Defense gave Jaime Maussan a copy of all the tapes and data collected by the Merlin C26A during the incident for study, evaluation and analisis by Maussan's research team as complement of this investigation and as an external colaborating source trying to establish a definition of the posible motives and consequences of the March 5, 2004 incident. General Vega as well as his staff were very open to discuss the subject and showed their legitimate interest in conducting this investigation in order to establish the truth of what happened. General Vega authorized the Merlin C26A crew to give Jaime Maussan the interviews needed without any censorship, giving all the facilities to present this case to the mexican people, an historic and unprecedent decision that will open a new era of mutual colaboration among the mexican ufologists and the military forces, a colaboration based in respect and interest to find the truth of the intense UFO activity we have been experiencing here in Mexico since the beguinning of the Amazing Mexican UFO Wave back in July 11, 1991. This new era of relationship among the mexican UFO witnesses, skywatchers, ufologists and our military forces will try to establish and give form to a new legislation in our law system focused to be prepared for any incident involving these unidentified flying objects, our people, our comercial and military airplanes etc. for learning and understanding what are we going to do and how are we going to confront this reality. The located zone was in optimal meteorological conditions, winds no bigger than 35 kms. / hour, relative humidity of 72% and a temperature average of 34° C. At 10,500 Fts. temperature average -27° C and a visibility average of 96%. The region does'nt register volcanic activity nor teutonics movements. There was not detection of electric current storage and distribution of importance. On the basis of the previous thing there were not found sources of electric magnetic phenomenons by electric centrals or sismic movements. There were not found posibilities of any Ball of Fire effect caused by volcanic activity. There were not registries of solar storms in that moments or relevant solar explosions. Therefore the posibilities of ionization luminic effects like St. Elmo Fire or electric storms were discarded. Study and Analisis elaborated by Rodolfo Garrido Cotham according to the Merlin C26A digital equipment data. This article tends to confirm my suspicions that these craft use lightwaves as camoflauge. Think about this. Infrared picked them up, but they were not visible to the naked eye, even though they were there. Have you ever taken a camcorder, and pointed a TV Remote Control at it, holding down the channel button, while looking through the viewfinder of the camera? You will see the infrared light through the viewfinder, even though you can't see it with the naked eye. This may explain the large amount of sightings that are caught on tape, yet no visual contact was ever made with the naked eye. Most of us are unable to see beyond the basic spectrum of light. We are unable to see ultraviolet lightwaves, and we are unable to see infrared lightwaves. Some people have more of a sensitivity to the light spectrum than others, which could explain why some people have more sightings than others. Wouldn't it be great if you had the technology to refract these lightwaves in a controlled environment to completely camoflauge your person, or vehicle? We may not have it, or at least the general public isn't aware of it, but most certainly, they do. And this article verifies that. I'll be interested to see what the U.S. Government has to say about this case, especially since it is coming directly from the mouth of the Mexican Air Force. Always remember, just because you can't see something, it doesn't necessarily mean that it's not there. We are infants in understanding, and allthough we may think we know everything, we most certainly have no clue.